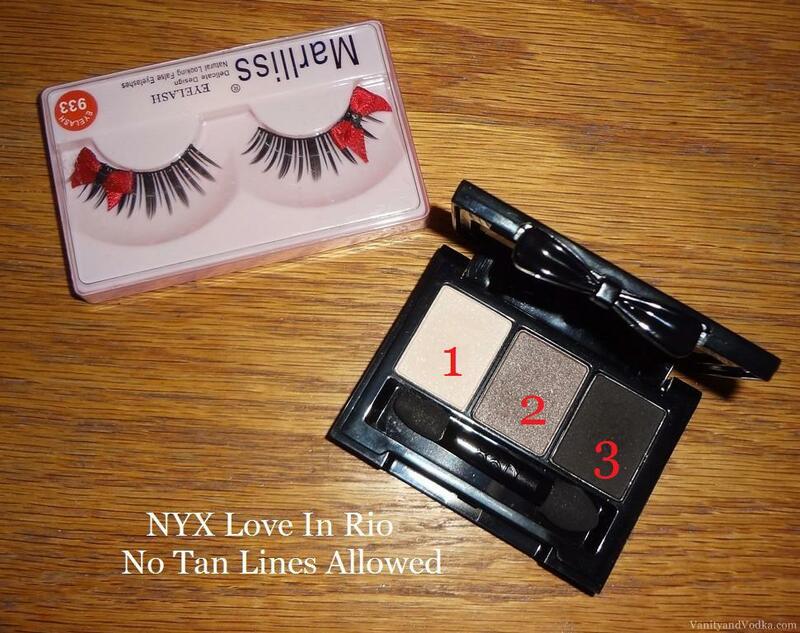 I wanted the lashes to be the star of the show, so I paired them with a simple neutral eye and a red lip. ♥ Nyx Love in Rio Palette in "No Tan Lines Allowed"
(* Side note: When I opened the lashes, one of the bows had fallen off its lash. Crisis was easily averted by using regular eyelash glue to pop it back on again. It was pretty tough selecting the right red to use! Many were too blue or orange. 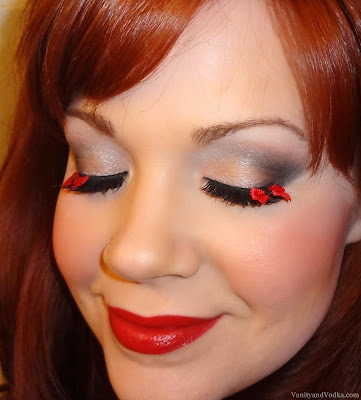 I adore this look, and think bows should be on EVERY pair of lashes! Yay! Ahhh I love it! The little bows on the lashes are toooo cute! That's very pretty, like something I haven't seen before.